As a Talent Acquisition Consultant for Veristat, I receive many cover letters and resumes from candidates each day. I am often blown away by the experience, knowledge, and expertise of these individuals and always hope to match their skill sets to one of our current openings. While I understand it may not be that unusual for everyone that a business letter has been addressed this way, it certainly came as a surprise to me. And not because I’ve never seen it before, but because this was the moment that I stopped to think about how long it had been since I have. In my years at Veristat, this was a first for me and I have grown so accustomed to more appropriate salutations that I nearly forgot this was a thing. On a daily basis, I am well aware that the respectful, kind culture at Veristat is the exception and not the norm. But on this day, I was even more grateful for it. Although the pharmaceutical world is making strides in the right direction when it comes to gender equality, there is certainly room to grow. One of the first notable strides took place in 2014 when Halozyme appointed Helen Torley to CEO, at the time making her the first and only CEO of a publicly traded Biotech company. 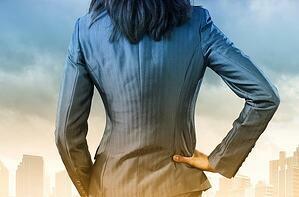 “In biotech, it's estimated that only about 7-9% of chief executive roles are filled by women. It's not an issue that's unique to drug makers; Among the Fortune 500 companies surveyed, only 4.2% were led by female CEOs." However, many companies have followed Halozyme’s lead. In 2015, GSK appointed Emma Walmsley as their new CEO, making her the first female to hold that title in the pharmaceutical industry. In 2016 Lion Biotechnologies, now Iovance Therapeutics followed suit and brought in Maria Fardis as their CEO. Another notable step came from the recent CEO hire of Heather Bresch by Mylan Pharmaceuticals. She, as well as so many others in the industry, feels that gender does not and should not determine your ability to lead. Male or female, no one should be denied a leadership role, or any other type of role for that matter, based on this classification. Here at Veristat, we pride ourselves on embodying a diverse and inclusive culture that makes everyone feel welcome. A simple look at our website can probably tell you just that. More than half of our Senior Leadership Team alone is comprised of strong, hardworking female leaders who can truly do it all. Embracing diversity and inclusion is only going to continue to propel the growth and development of Veristat as an emerging global CRO. I am humbled, proud, and honored each day to work at a company where there is not only a seat at the table for one woman, but for all those aspiring to have one. Allie Bruno serves as Veristat’s in house Talent Acquisition Consultant, identifying top talent across all functional areas. Recruiting for Veristat is truly what she loves best, but outside of that, she can be found cheering on the Gamecocks of South Carolina, spending time with family & friends, and traveling the globe in search of the perfect cheeseboard. Beating Rare Cancers Requires Your Help - JOIN THE BATTLE TODAY!